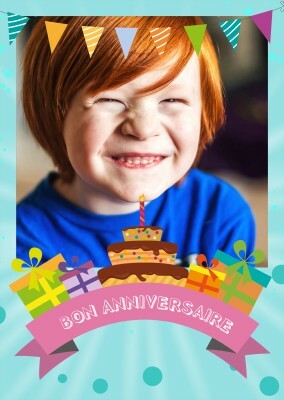 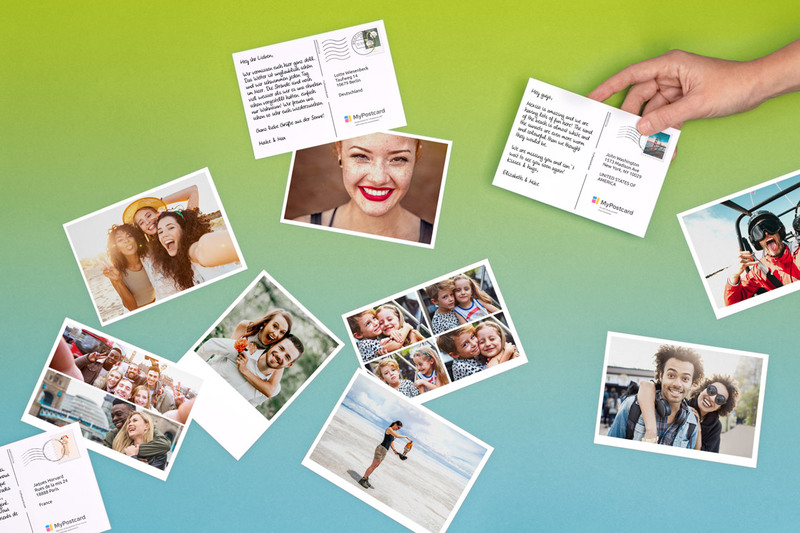 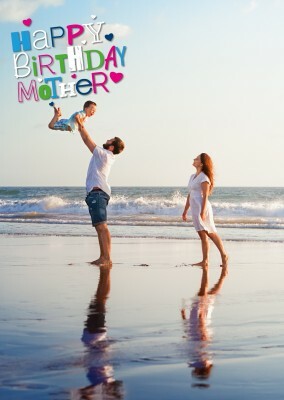 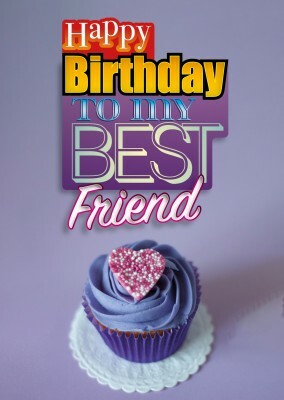 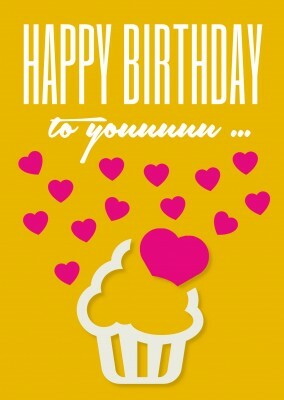 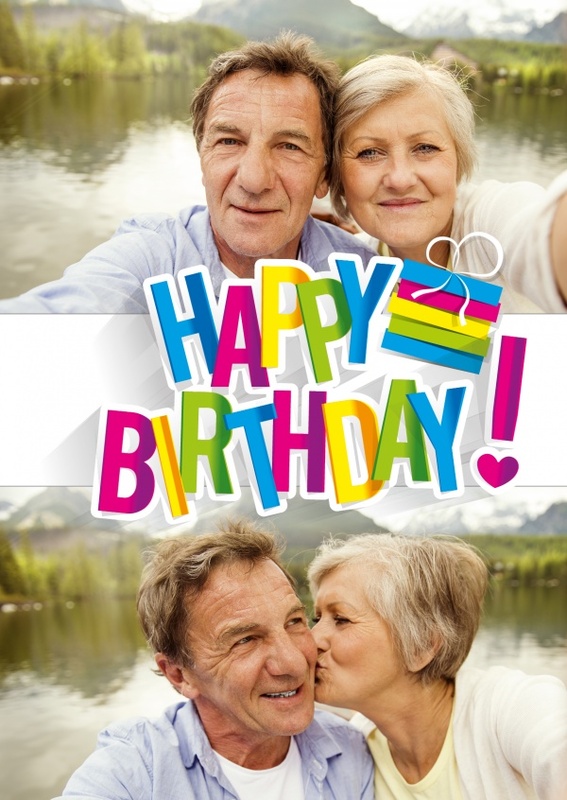 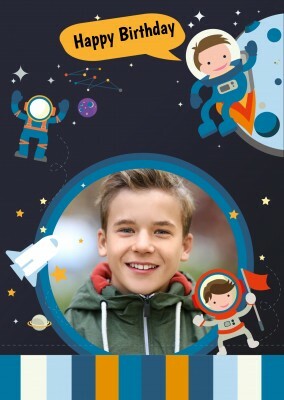 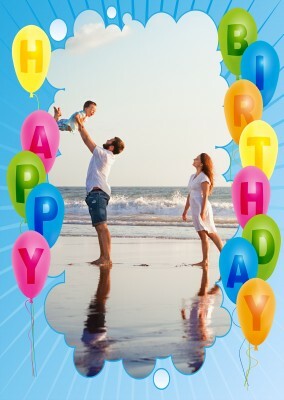 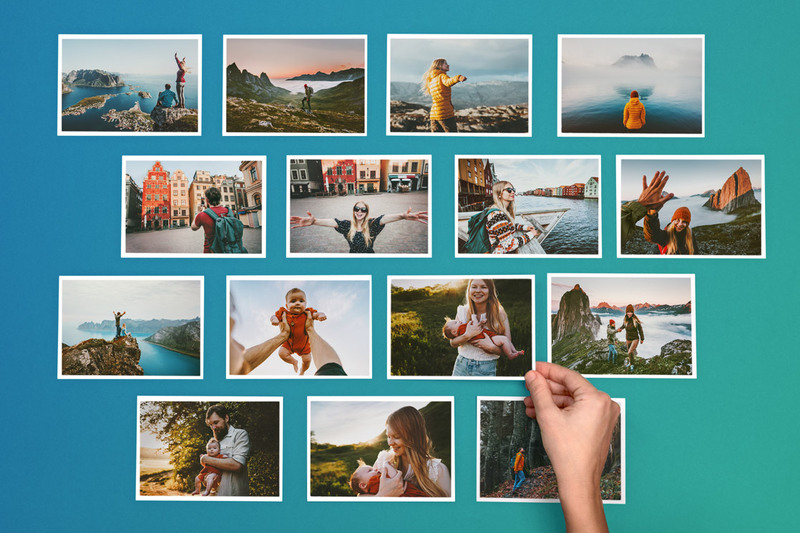 Print your own Photo Birthday Cards with MyPostcard - Send and create your photos as real printed Cards worldwide and internationally. 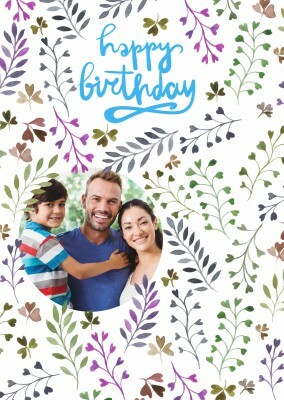 We print and deliver your cards worldwide. 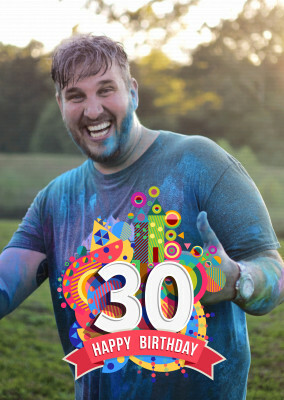 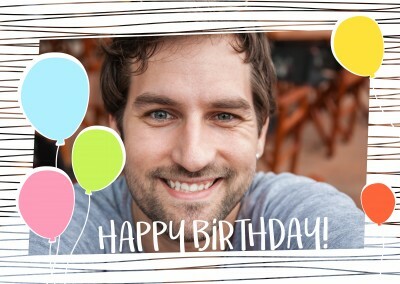 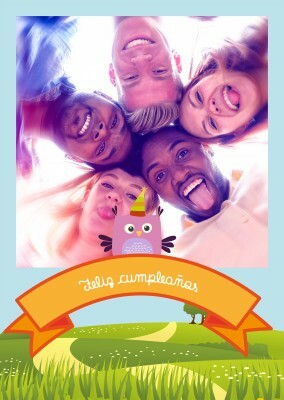 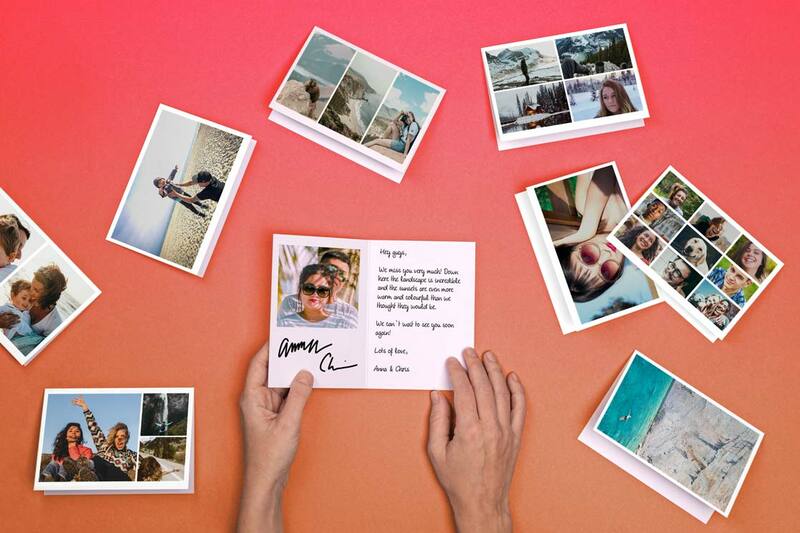 You only have to upload your photo and turn it into your personalized Birthday Card. 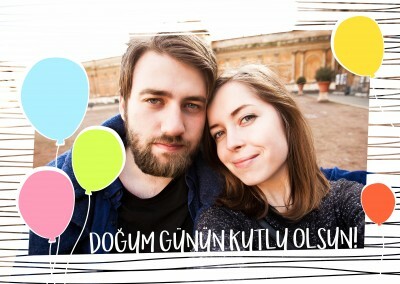 Directly online anytime, from anywhere in the world. 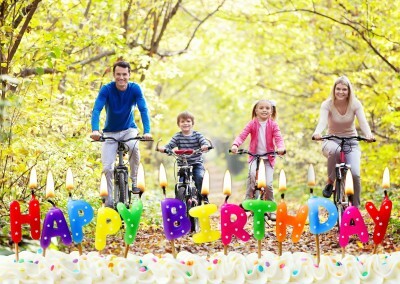 When a birthday rolls around, it can be a challenge knowing what to buy for the birthday boy or girl. 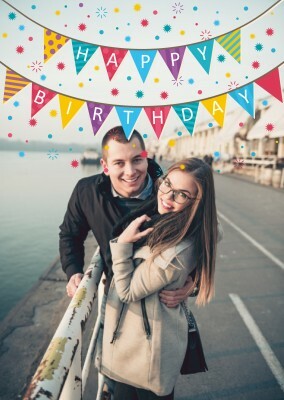 Some people are just impossible to buy for, but a personalized photo design birthday template card never goes out of style! 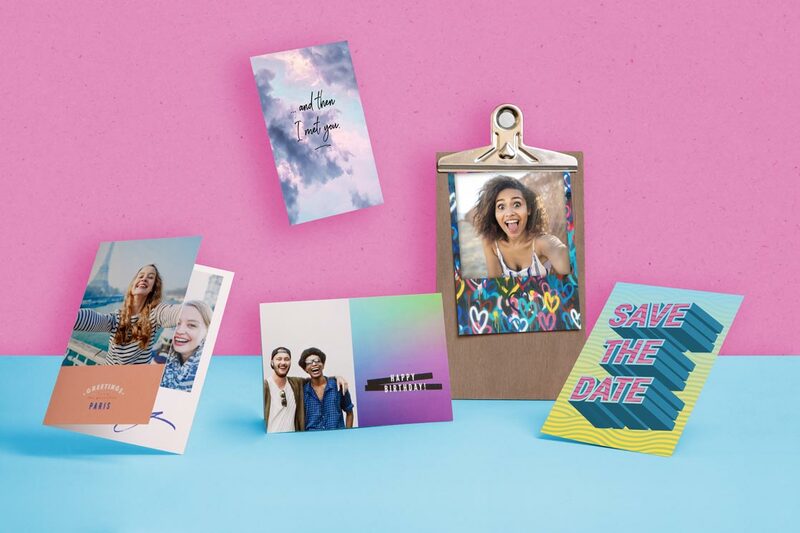 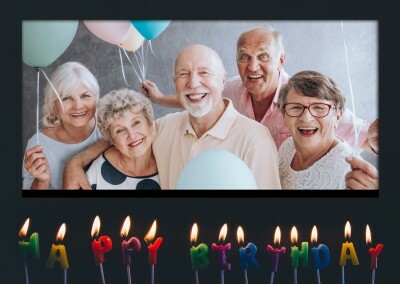 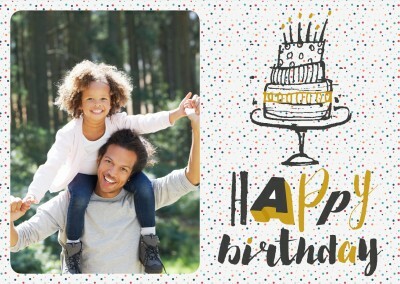 Why risk wasting money on a present they may not like or won't use when in just a few minutes you could have a custom photo design birthday template ready to be mailed straight to their door? 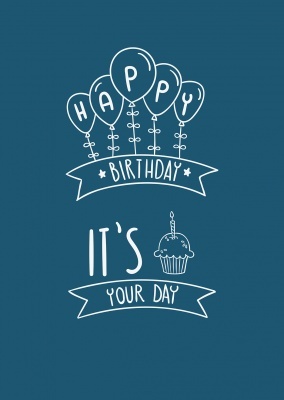 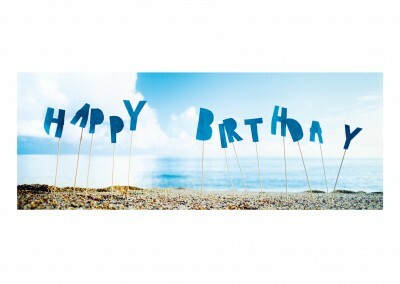 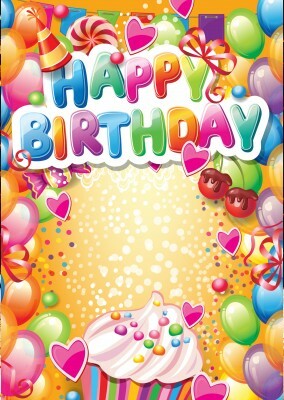 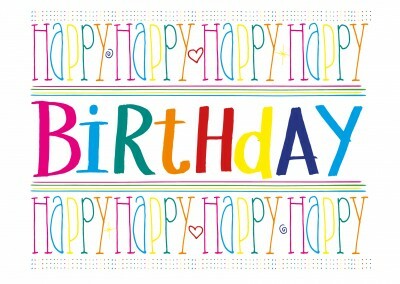 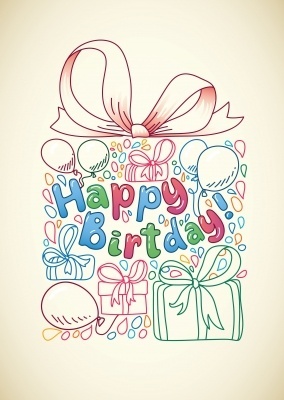 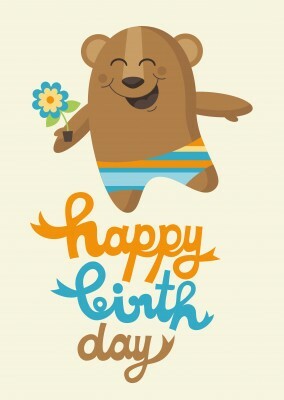 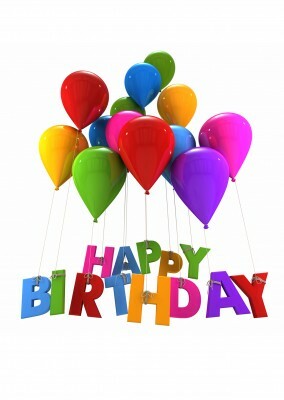 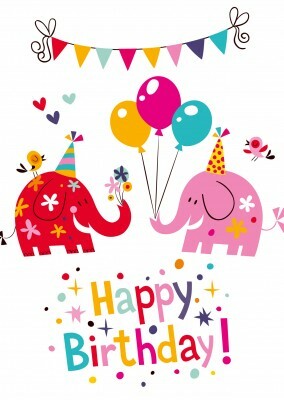 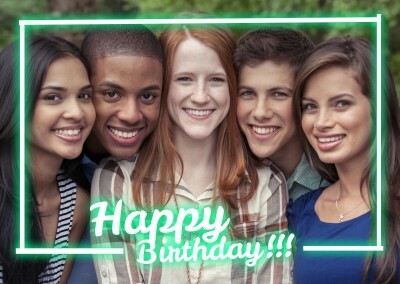 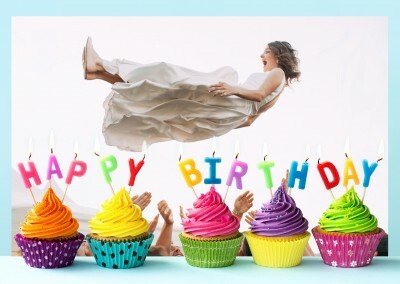 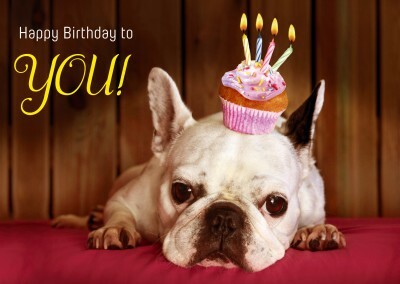 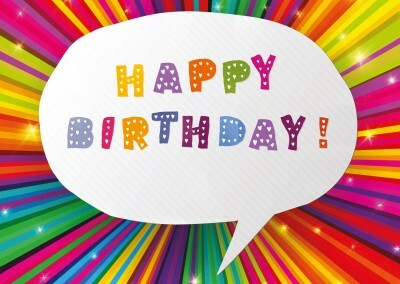 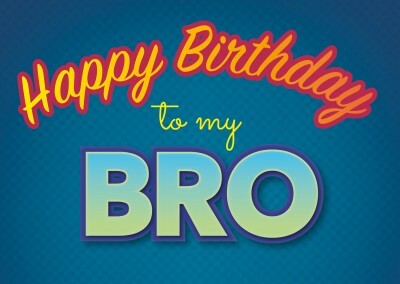 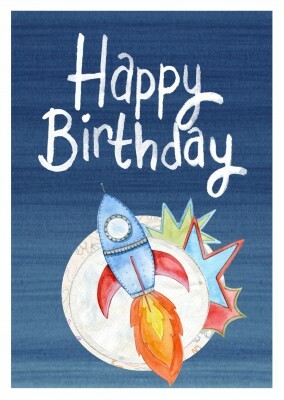 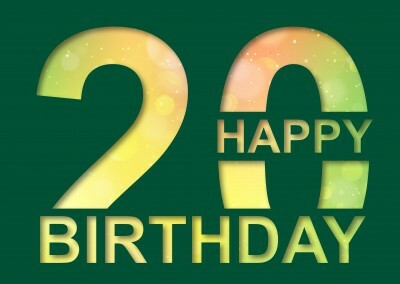 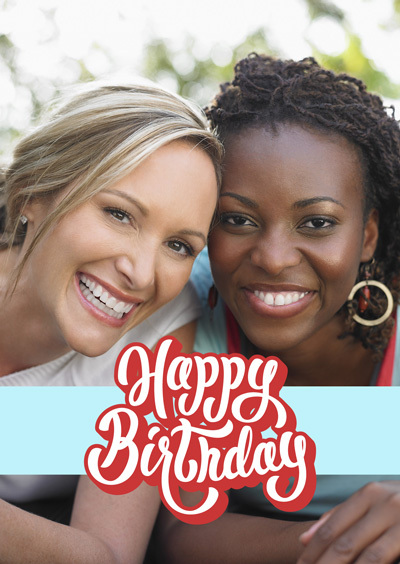 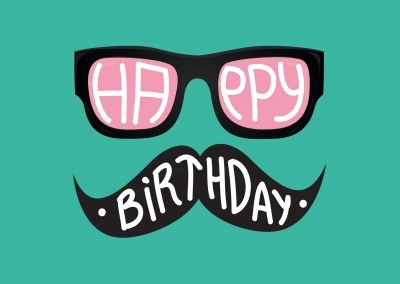 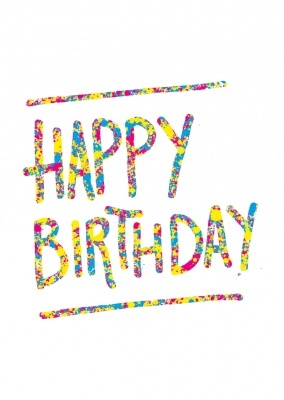 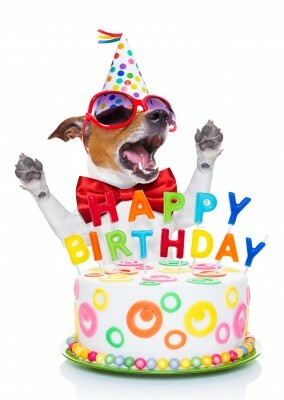 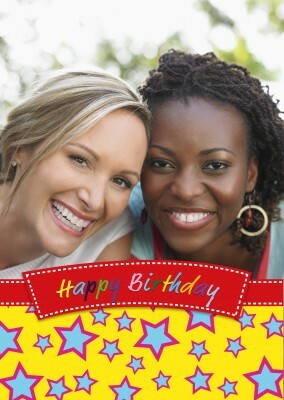 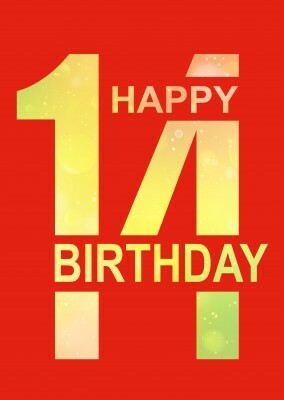 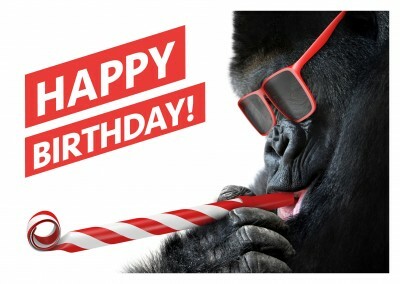 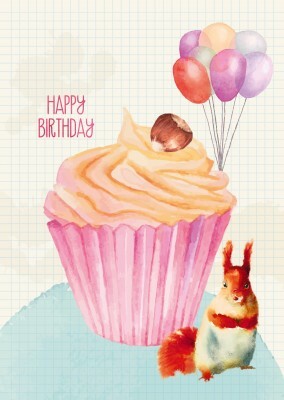 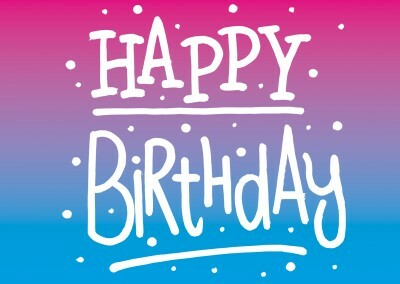 This fun and fully customizable card provide a colorful "Happy birthday!" 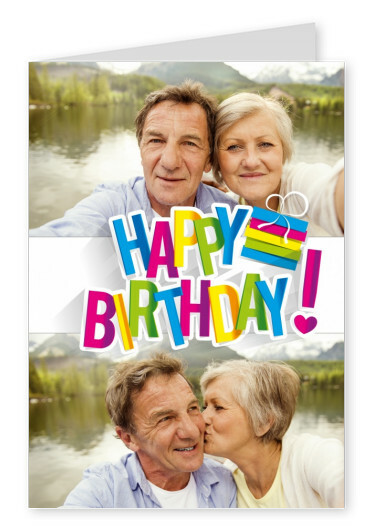 greeting, but the majority of the card is for you to create with two photos of your own. 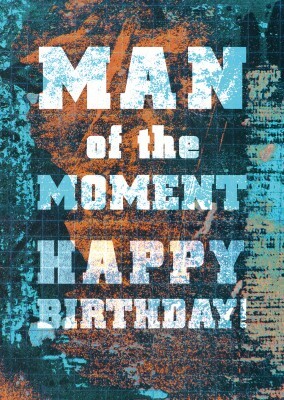 The inside is up to you as well: you can write a long letter to the birthday boy or girl, or keep it brief and to the point. 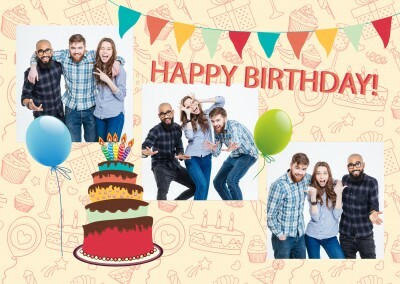 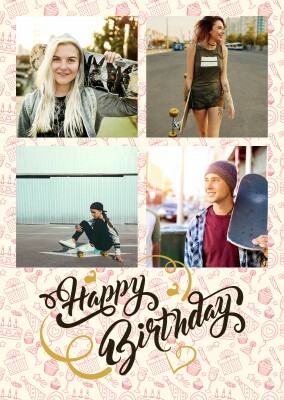 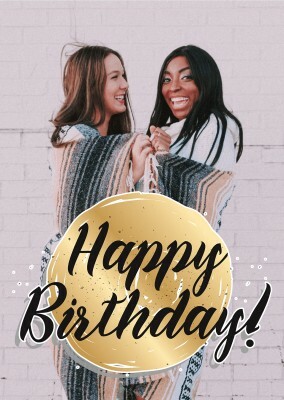 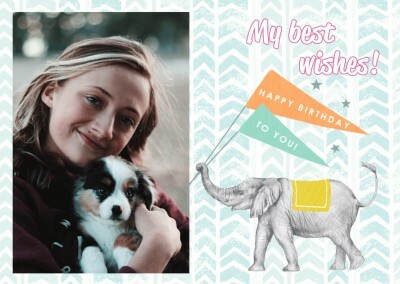 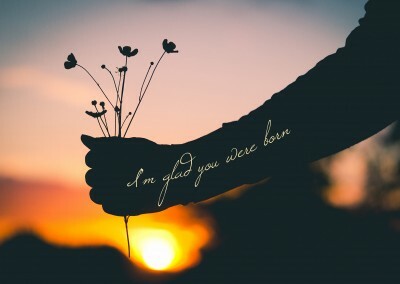 The best present for a happy birthday isn't something you can buy at a store: it's something that comes from the heart, and this photo design birthday template card surely does the trick. 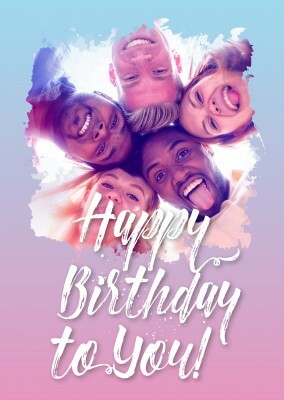 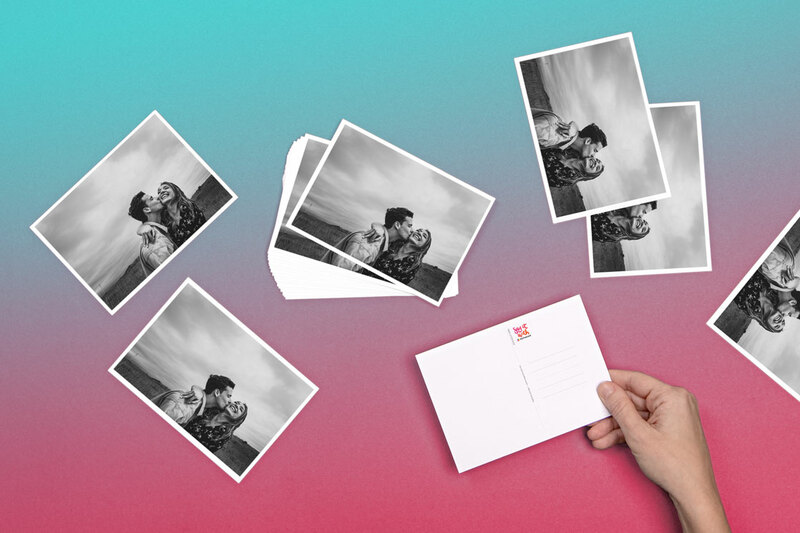 You can also send and create your cards online or download our best-rated postcard app in the app store to send a real printed greeting card, card or postcard. 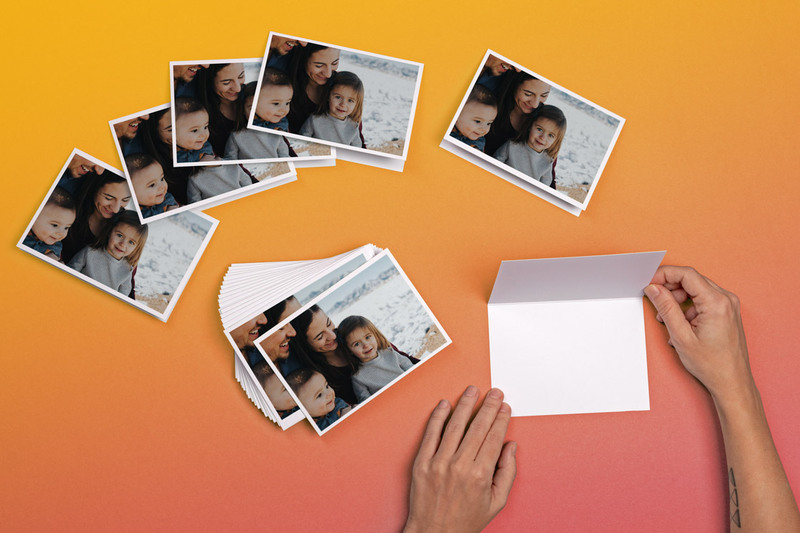 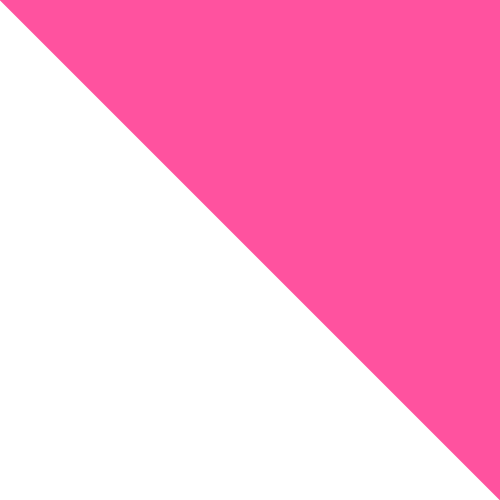 Send your first card today.